Some do not want to start a blog primarily because they do not understand how to go about it. They consider what their first blog post would be. They are worried about what the world would think about their first blog post. If you find yourself in such a category, the ideas here will end your worries and propel you to the publishing desk. As you endeavor to publish your articles on your blog let us consider the ideas you would require to make sharing your thoughts convenient. The strategy is to actually meet the questions and inquiry needs of your visitors and we would consider how to do that through the following ideas. Your first blog should be nothing but you. You really need to carefully choose yourself. Some people are often in doubt of whether they should introduce themselves or not. While not underplaying the importance of introducing yourself you also need to realize that this must be done strategically. As they say, the first impression matters a lot. This first blog post may actually not have to center around the niche you are majoring on. Your first blog post tells the world who you are. It generally introduces you and your blog. It is not really that you are proud. Do you speak at seminars or conferences? Are you published? Do you have visual images that tell potential customers what you have done in times past? The strategy should consider certain questions that may pop up in the minds of your audience – the reasons for starting the blog; the targets you desire the blog to meet; the subjects you would be talking about; how consistent do want to post; how do users find you. Scaling what you provide in your “About Page” is very important. Attempting to create a “How to” list helps bloggers to reach customers who will find keen interests in your blogs. When your blog write-ups are “How to” based, it makes them appear more practical and user-oriented. With this, you certainly would need to reflect on what you do and look for those things which you can teach in few steps. For instance, if you are an educationist, you can include posts like “How to Study for Examinations without stress”; “How to get an Online Degree”; “How to get admissions into foreign universities at low cost”. Here, the foremost thoughts on your mind should be to serve the interests of your users. You put yourself in their shoes. Blog posts like this have a high user-retention rate. Some blogging folks, especially those who are beginners may critique this idea. But you should credit and include other blogs when you are still trying to source for potential prospects to your blog site. The rationale behind this is to tell potential customers that you are part of the community. It shows you are keen at current trends in the industry. It ultimately helps to build the trust and reputation of your blog visitors. You need to show them that you not only read but acknowledge sources you draw inspiration from. You can bring together a catalog of the questions people ask concerning your blog subjects and provide answers to them all. You do not need to bore away churning write-ups that would not meet users’ demand. Targeting your first blog posts towards answering frequently asked questions is an excellent idea. As you show interest in the readiness to deliver good responses to your readers’ questions you can be sure to build trust and improve your readership. The moment people know about you, they are keen at discovering what now makes you distinct from the rest of the flock. Your post should be able to satisfy the people’s questions about why they should prefer your services to other blogs. There should be something that stands different about you. You need to specialize in an area. You should clearly state your mission for going into the blogging enterprise. Your approach should provoke attractive reviews from customers on your products. People tend to trust your site when outsiders validate what you do. So, you need to state in one of your first posts, the approach you would take as you post on your blog. When you talk about the past records of your niche, it establishes you to the general online public that you are an individual of enormous depth. 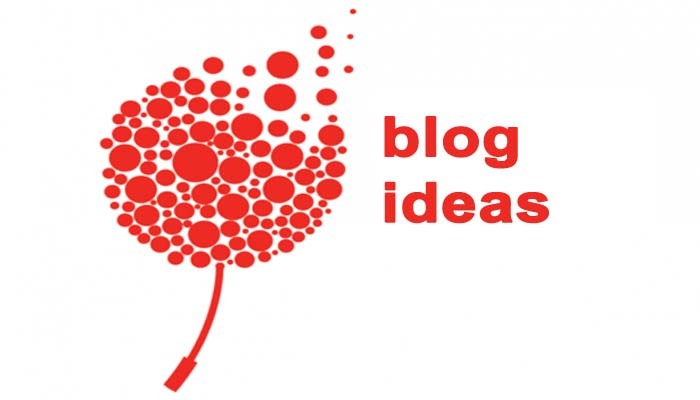 This will make users to show a deeper interest in your blog. So, try to discuss the history of your niche. Your niche might be about productivity, marriage, professional solutions, lifestyle, relationships, Artificial Intelligence (AI), motivation habits, etc. You have to define the information and resources your blog would be about. Relate some perceived coloration of the past generations about them. Correct those you perceive to be wrong. Do well to acknowledge and retain those principles you understand to be relevant. Readers want to see you inside out. They often show disinterest in blogs that only lay out principle without life illustrations. Sometimes you may employ an assignment writing service in writing some posts for your blog. But for your blog posts, you need to relate your encounters overtime. Aside from your life experience which you’ll share with readers through such posts, it will also help you build self-confidence which shows you are truly in control. Relating your life experiences also makes the analysis of your blog posts quite interesting. It shows you off as a creative person who has got a unique brand. If you desire to successfully blog, attempt to know the rules and obey them. Blogging is one means through which anyone can make a meaningful living, earn a lucrative income, impart lives and touch generations to come. You however need to establish a quality front by ensuring your first blog posts are as resourceful and strategic as possible. But as much as these are important you need to abide by the applicable ideas that afford you success.